These cartoons are the political satire of its time, as clever and punchy as the TV panel shows that do the same job today. William Pitt, wearing a regimental uniform and hat, is sitting at a table with Napoleon. They are each carving a large plum pudding on which is a map of the world. Pitt's slice is considerably larger than Napoleon's. The new emperor and his opponent the English Minister, are helping themselves. One taking the land, the other the sea. 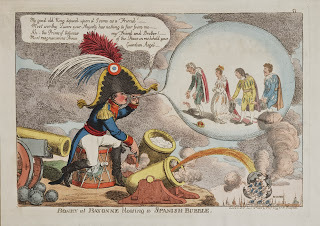 The cartoon comments the propositions made by the new emperor for a reconcialiation with England in January of 1805. "Boney at Bayonne blowing a Spanish bubble". 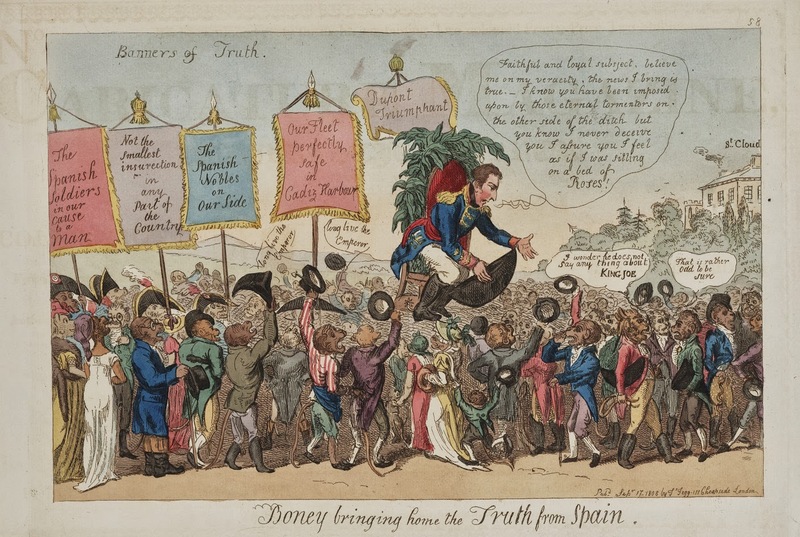 "Boney bringing home the truth from Spain". 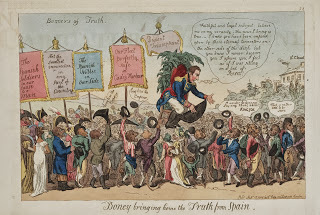 Napoleon is assuring his subjects, who have animal faces, that all is well in Spain. However, one animal/man wonders why Napoleon fails to mention his brother, Joseph Bonaparte, that he had installed on the Spanish Throne. "King Joe disposing of his Spanish crown!!!" 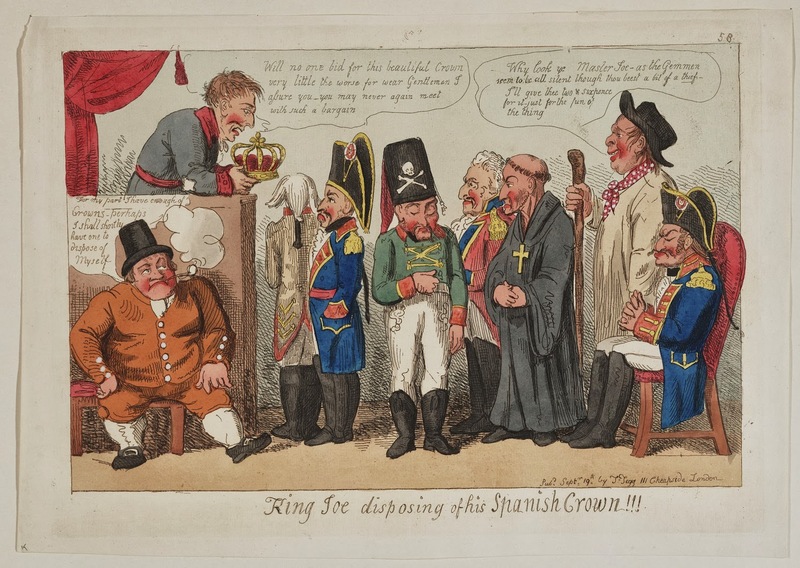 King Joseph I is attempting to auction off his crown. "The journey of a modern hero, to the island of Elba"
"The journey of a modern hero, to the island of Elba". 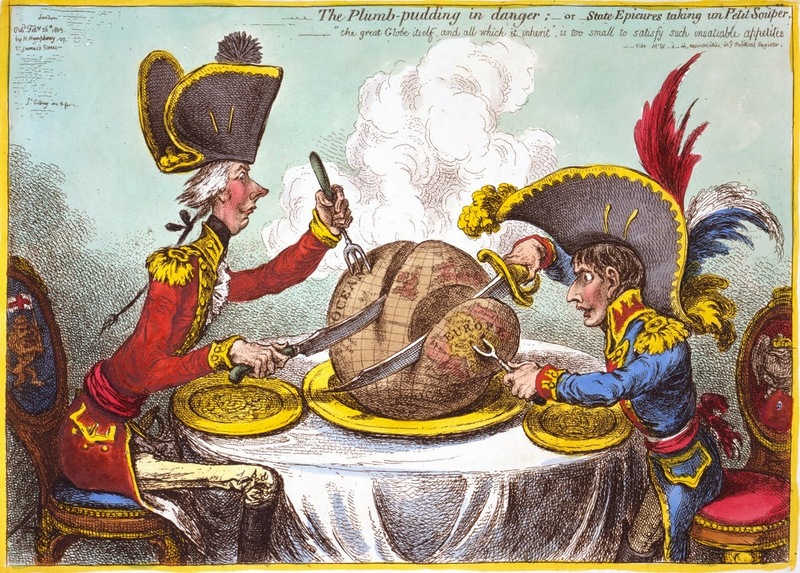 Napoleon was exiled to Elba, and the British had a great time. 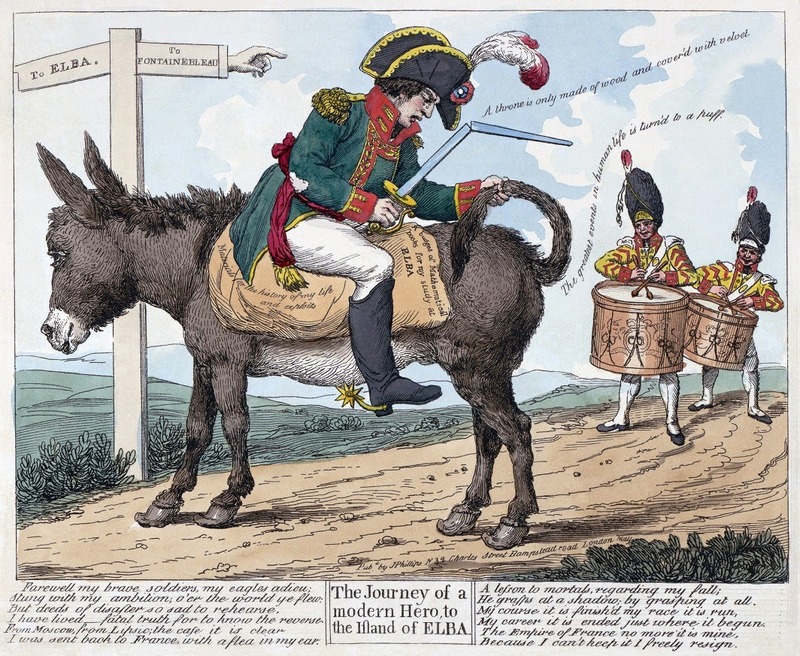 He sits backwards on a donkey going to Elba. His sword is broken and he holds on to the donkey's tail. The drummers mean that this is a solemn moment.